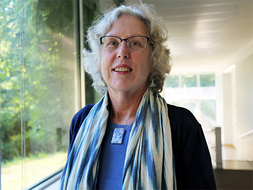 Nina (Cornelia) Kammerer, an anthropologist and public health researcher, is a faculty member in the Heller PhD Program, in which she teaches qualitative research methods. She has taught in Brandeis University's Department of Anthropology, in which she introduced a course on AIDS in the early 1990s. Ms. Kammerer has conducted extensive ethnographic fieldwork among Tibeto-Burman-speaking Akha of Northern Thailand. In 1993, she served as Principal Investigator on a study, funded by the American Foundation for AIDS Research, of sociocultural risk and protective factors for HIV/AIDS among four highland minorities in Thailand. To strengthen her knowledge of epidemiology and biostatistics, Ms. Kammerer obtained a master's degree from Boston University School of Public Health in 1997. From 1997 to 2004, she was a Senior Researcher at Health and Addictions Research, Inc., a Boston-based research, evaluation, and quality improvement consulting firm that specialized in behavioral health. She has published articles and book chapters on asymmetric marriage alliance, Christian conversion, ethnic identity, and Thai government policies towards highland minorities. With Nicola Tannenbaum, she co-edited two volumes on religion published in the Yale University Southeast Asian Studies monograph series. In addition to publications on HIV/AIDS in Thailand, she has co-authored two book chapters on HIV/AIDS risk, prevention, and care among transgender people in the United States. A co-authored 2006 resource paper on trauma and retraumatization was part of the After the Crisis Initiative: Healing from Trauma after Disasters of the Substance Abuse and Mental Health Services Administration's Center for Mental Health Services. Since 2010, when not teaching at Brandeis, Ms. Kammerer is a Visiting Investigator at the Catalan Institute for Cultural Heritage Research (Institut Català de Recerca en Patrimoni Cultural) in Girona, Catalonia, Spain, where she conducts field research on continuities and transformations in the Catalan giant puppetry tradition, including intersections with the movement in Catalonia for independence from Spain. Taylor, Allison, and Kammerer, Nina. “MICHL INFINITY”: Fostering Facilitative Leadership for Health Equity, Evaluation Report on Cohort 8 of the Massachusetts Institute for Community Health Leadership (MICHL). Boston Prepared for the Blue Cross Blue Shield of Massachusetts Foundation: 2015. Kammerer, Nina. "Catalan Festival Culture, Identities, and Independentism." Quaderns-e de l’Institut Català d’Antropologia 19. 2 (2014): 58-77. Kammerer, Nina. "L’actualitat de la faràndula gironina (foreward on contemporary Catalan festival culture in Girona)." Faràndula: 500 anys d'imatgeria festiva a Girona. 2014 ed. Ed. Nuxu Perpinyà Salvatella and Ramon Grau Herrero (authors). Girona, Catalonia, Spain: Ajuntament de Girona, Col.lecció Història de Girona, 2014. unnumbered. Kammerer, Nina. Parade of giant puppets and "bigheads". 2014. Illustration in the book Faràndula: 500 anys d'imatgeria festiva a Girona, Girona. (photograph). Kammerer, Nina. Showing children the inside of a giant puppet. 2014. Illustration in the book Faràndula: 500 anys d'imatgeria festiva a Girona, Girona. (photograph). Kammerer, Nina. "Lectura." Rev. of Constructing Cultural and Natural Heritage: Parcs, Museums and Rural Heritages, by Xavier Roigé and Joan Frigolé (Eds.). Mnemòsine: Revista catalana de museologia vol. 7 2013: 165-167 (in Catalan). Caspi, Y., O. Slobodin, N. Kammerer, G. Enosh, S. Shorer, and E. Klein. "Bedouin Wives on the Home Front: Living with Men Serving in the Israeli Defense Forces." Journal of Traumatic Stress 23. 6 (2010): 682-690. Hyde, J., and N. Kammerer. "Adolescents' Perspectives on Placement Moves and Congregate Settings: Complex and Cumulative Instabilities in Out-of-Home Care." Children and Youth Services Review 31. 2 (2009): 265-273. Clark, C., M.S. Young, E. Jackson, C. Graeber, R. Mazelis, N. Kammerer, and N. Huntington. "Consumer Perceptions of Integrated Trauma-Informed Services among Women with Co-Occurring Disorders." Journal of Behavioral Health Services and Research 35. 1 (2008): 72-90. Kammerer, N. and R. Mazelis, Resource paper from After the Crisis: Healing from Trauma after Disaster panel. Trauma and Retraumatization. June 8, 2006. Center for Mental Health Services of the Substance Abuse and Mental Health Administration (CMHS of SAMHSA). <http://www.gainscenter.samhsa.gov/atc/text/papers/trauma_paper.htm>. Larson, M.J., L. Miller, M. Becker, E. Richardson, N. Kammerer, J. Thom, J. Gampel, and A. Savage. "Physical Health Burdens of Women with Trauma Histories and Co-Occurring Substance Abuse and Mental Health Disorders." Journal of Behavioral Health Services and Research 32. 2 (2005): 128-140. Markoff, L.S., N. Finkelstein, N. Kammerer, P. Kreiner, and C.A. Prost. "Relational Systems Change: Implementing a Model of Change in Integrating Services for Women with Substance Abuse and Mental Health Disorders and Histories of Trauma.." Journal of Behavioral Health Services and Research 32. 2 (2005): 227-240. McHugo, G.J., N. Kammerer, E.W. Jackson, L.S. Markoff, M. Gatz, M.J. Larson, R. Mazelis, and K. Hennigan. "Women, Co-Occurring Disorders, and Violence Study: Evaluation Design and Study Population.." Journal of Substance Abuse Treatment 28. 2 (2005): 91-107. McHugo, G.J., Y. Caspi, N. Kammerer, R. Mazelis, E.W. Jackson, L. Russell, C. Clark, J. Liebschutz, and R. Kimerling. "The Assessment of Trauma History in Women with Co-Occurring Substance Use and Mental Health Disorders and a History of Interpersonal Violence." Journal of Behavioral Health Services and Research 32. 2 (2005): 113-117. Tannenbaum, N., and C.A. Kammerer, ed. Founder’s Cults in Southeast Asia: Ancestors, Polity and Identity. New Haven: Yale University Southeast Asia Studies., 2003. Kammerer, C.A.. "Descent, Alliance, and Political Order among Akha Highlanders of Northern Thailand." American Ethnologist 25. 4 (1998): 659-674. Kammerer, C. A., and N. Tannenbaum, ed. Merit and Blessing in Mainland Southeast Asia in Comparative Perspective. New Haven: Yale University Southeast Asia Studie, 1996. Kammerer, C.A.. "Discarding the Basket: The Reinterpretation of Tradition by Akha Christians of Northern Thailand." Journal of Southeast Asian Studies 27. 2 (1996): 320-333. Kammerer, C.A.. "Akha." Encyclopedia of World Cultures (Prepared under the auspices of the Human Relations Area Files). V, East and Southeast Asia vols. 1993. Kammerer, C.A., and P.V. Symonds. "AIDS in Asia: Hill Tribes Endangered at Thailand’s Periphery." Cultural Survival Quarterly 16. 2 (1992): 23-25. Kammerer, C.A.. "Customs and Christian Conversion Among Akha Highlanders of Burma and Thailand." American Ethnologist 17. 2 (1990): 277-291. Kammerer, C.A.. "Of Labels and Laws: Thailand’s Resettlement and Repatriation Policies." Cultural Survival Quarterly 12. 4 (1988): 7-12.